There is nothing more luxurious than clear, beautiful skin. Women are always searching for the latest ways—from sun protection, to moisturizers, to cosmetic procedures—to end up with youthful skin. 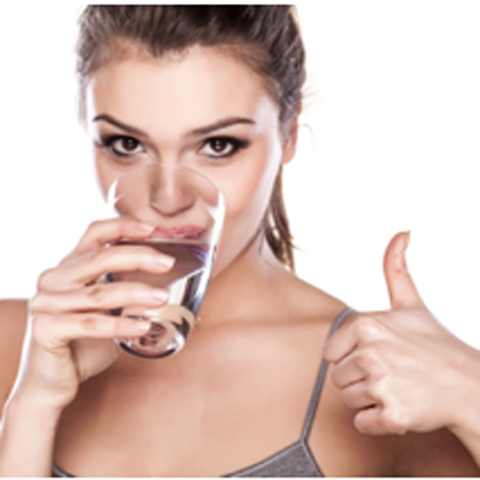 Here are four tips to help you achieve the healthy skin you’ve always dreamed of. 1. Don’t understate the power of water. Not only is it a basic necessity for life, but it’s the easiest way to keep your skin looking healthy and youthful. If water seems too boring for you, feel free to add in a cucumber. They contain silica and antioxidants that are known to be crucial to keep your skin glowing. If you're looking for more flavor, throw a lemon into your water. You can thank the citric acid in lemon, which helps your body digest, and in return, hydrates your skin. So drink up! 2. Find a moisturizer that works for you skin. Before moving into your moisturizer, you must identify your skin. Are you more oily in your t-zone or do you have dry skin? Maybe you are a little of both, and your skin type is combination. Once you identify your skin type, you are ready to choose the perfect moisturizer. For instance, a great moisturizer for combination skin is Philosophy’s Hope in a Jar moisturizer ($44). It’s a lightweight moisturizer that contains antioxidant protection that is proven to give you a radiant complexion. However, if you have dry skin, you should try Clinique Moisture Surge Intense Skin Fortifying Hydrator ($52.50). This stuff does wonders for your skin and ultimately transforms your skin from dry to plump within minutes. It basically feels like water for your skin. If your skin is neither combination nor dry, but rather oily, then NaturaBissé C+C Vitamin cream ($118) will be your holy grail. It dissolves into the skin within minutes, leaving you with a youthful glow. The Vitamin C not only protects your skin from any effects of aging but is necessary for collagen production. The Vitamin C is also a potent antioxidant that can neutralize free radicals in the skin. 3. Choose a diet that’s packed with vitamins and minerals. We all know the saying “you are what you eat.” What you put into your body will reflect on your skin. 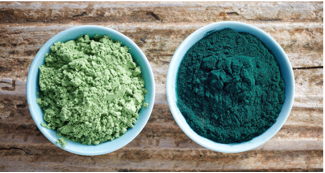 Super foods such as spirulina and chlorella are known to be one of the most nutrient dense foods on the planet. Spirulina contains essential amino acids, iron, protein, B vitamins, and vitamins C, D and E. Chlorella is packed with phytonutrients, including amino acids, chlorophyll, beta-carotene, potassium, phosphorous, biotin, magnesium and the B-complex vitamins, while also providing detoxification properties. These two super foods blended together perhaps in a smoothie will be sure to give you a energy boost while providing your skin will a radiant complexion. Adding a fruit such as an avocado into your diet will improve your blood supply and oxygenation to your brain while providing your skin with a healthy glow. By increasing your blood flow, exercise will nourish and keep your skin cells vital. You are basically cleansing your body and skin from the inside whenever you exercise. So by working out 3 times a week for at least 30 minutes, you are bound to get healthy skin in no time. Oh, and it wouldn’t hurt to start planning for your 2017 summer body.